I was inspired to create this recipe when I saw one for a savory kabocha biscuit. I was intrigued…and I had just bought some kabocha at the farmer’s market that I needed to use. But I wasn’t sure I (or my kids) would like the recipe, and I didn’t have all the ingredients anyway. So I decided to create my own pumpkin pie version. They were a hit! A later evolution eliminated the sweetener entirely, which made them 21DSD-friendly and more nutrient-dense. My taste-testers couldn’t tell the difference! For this recipe, I used kabocha, a starchy, fairly dry pumpkin that is available year-round, but you’ll probably see it most often in the late summer/fall. I have used it to make pumpkin curry, but never for baking. 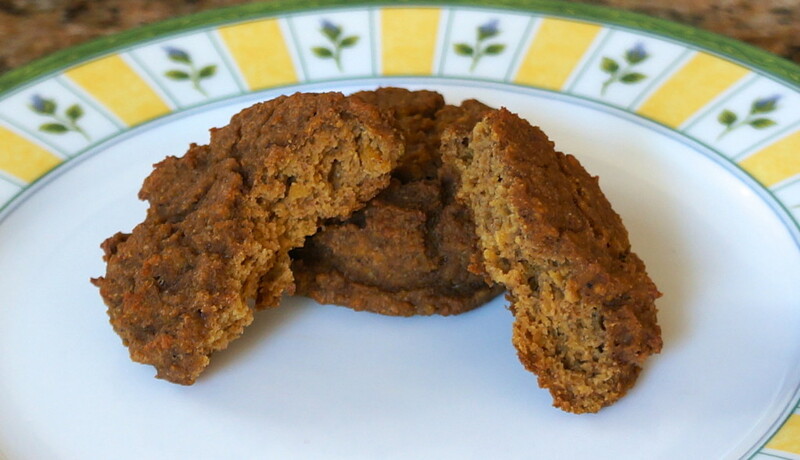 It works nicely because it adds flavor, texture, and nutrition (lots of carotenes and fiber as well as some iron, vitamin C and potassium) without a lot of liquid; most pumpkins and squashes need to be drained/sieved before using in baked goods so that the batter is thick enough to hold together well. 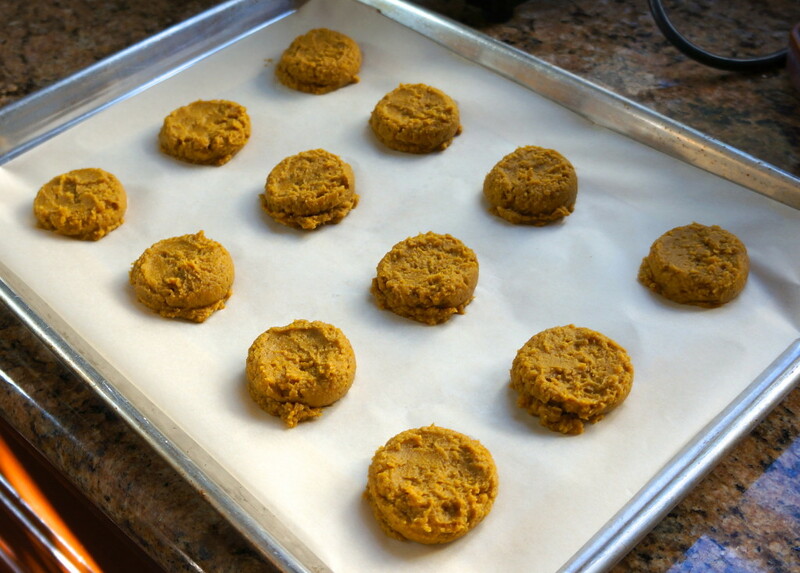 Before you can make the muffinettes, you’ll need to cook the kabocha until it is soft. The outer shell is very hard, so be careful if you decide to cut it into pieces before cooking. You can cook it whole in a 350F oven (pierce it a few times with a sharp knife to prevent it from exploding) for about an hour. You’ll know it is done when the outside yields to light pressure and/or you can pierce it easily with a knife. Let it cool and then scoop out the seeds and remove the peel. You can also cut it up, remove the seeds, and steam it or roast it–I check the doneness after 30 minutes and let it go until it can be pierced easily with a fork. Once it is soft, scoop out the orange flesh and discard the outer shell. Store in the fridge for several days or freeze for later use. These pumpkin pie muffinettes are slightly sweet, and are great for breakfast or as an on-the-go snack. I hope you enjoy them! *Note: If you are not doing the 21-Day Sugar Detox, you can substitute 1 Tbsp. of honey for the banana. In a food processor, combine the kabocha, eggs, banana, vanilla and melted butter/ghee. Add in the dry ingredients (baking soda, sea salt, pumpkin pie spice and coconut flour). Pulse to combine, scraping down the sides if needed. The batter will be thick, but soft. Use a medium cookie scoop or a tablespoon to drop even amounts of the batter onto a parchment-lined cookie sheet. Flatten each scoop slightly with the back of the spoon or your fingers. Bake at 350F for 23-25 minutes or until the muffinettes are set and slightly golden on top. Let them cool completely, then enjoy! They are especially good with a nice, thick pat of butter. 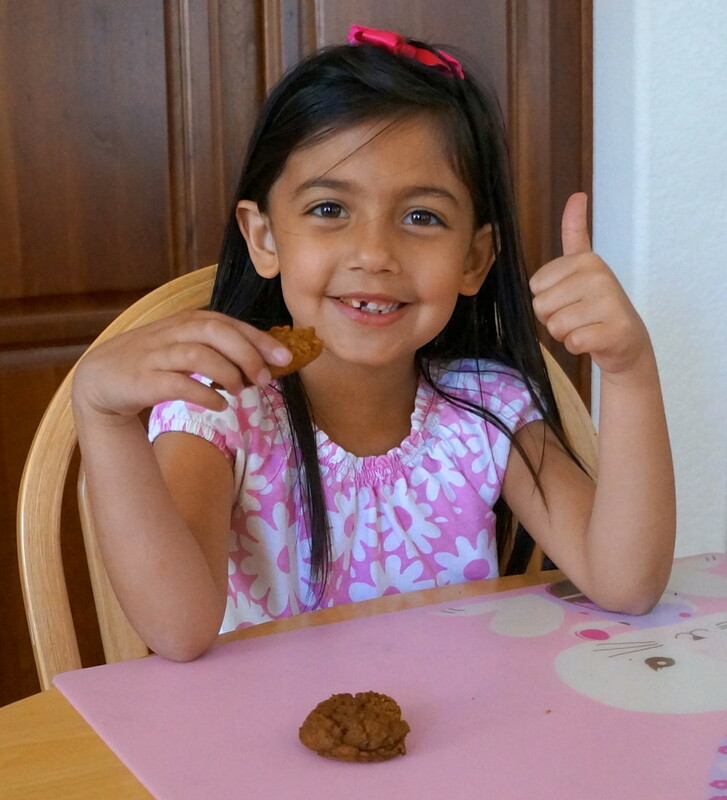 Taste-tester H gives them a thumbs up! 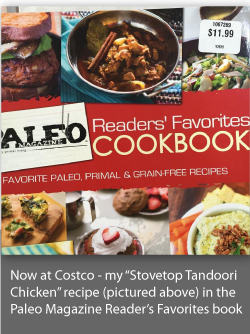 This post is linked to Tasty Traditions, Fight Back Friday, and The Paleo Rodeo, Real Food Wednesday, and Party Wave Wednesday. Can you use 1 c. canned organic pumpkin? I’m not sure–try it and see! 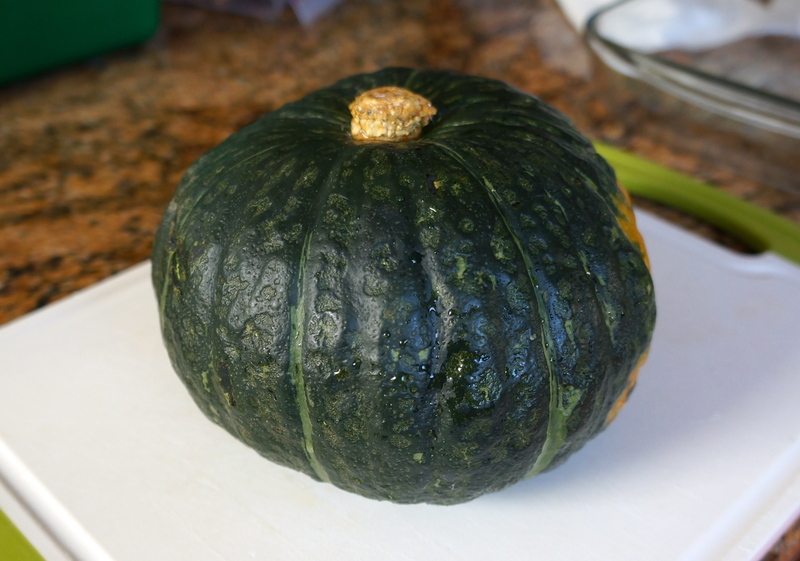 The canned pumpkin will probably have a bit more moisture than the kabocha, but I think it will still taste great. Let me know how it works out! 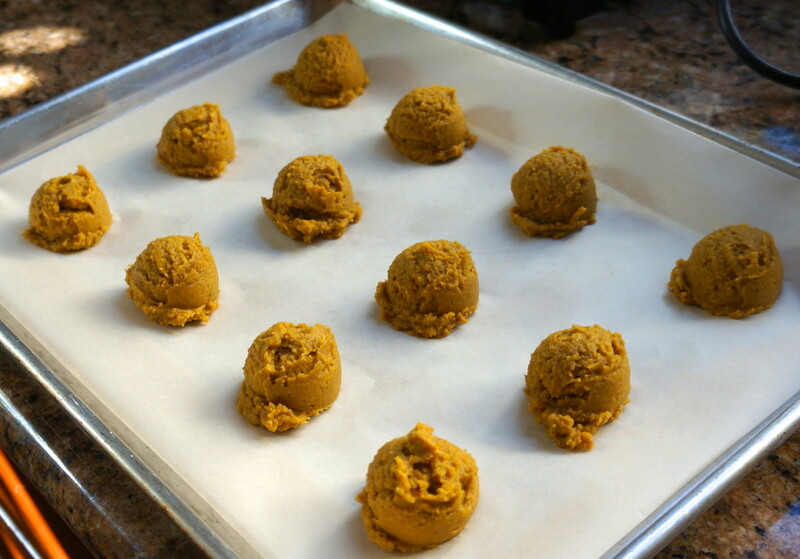 Canned pumpkin was indeed more moisture, had to add more coconut flour to make it scoop able like the picture. Turned out great. Would make these again. Awesome! Thanks for the feedback :). These look FANTASTIC!! 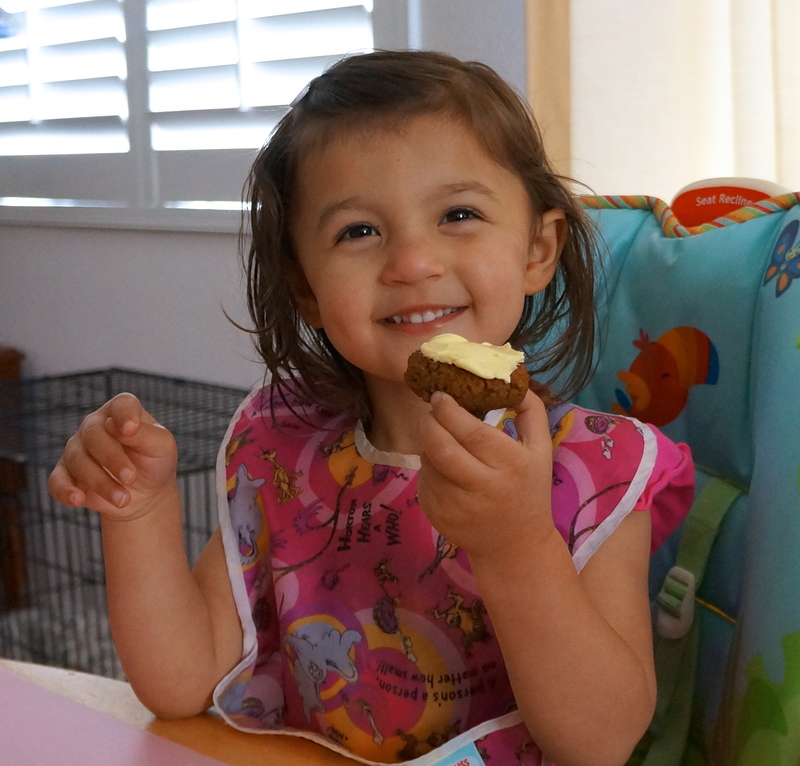 My friend & I call Cookies & Muffins – CUFFINS. Ah aha! I’m also wondering about a sub. Kabocha isn’t always available to me. Would butternut squash work? It probably would. The only way to find out is to try it! Just make sure that you have drained any excess liquid after cooking the squash. Let me know how it works! These are my go-to snack. I love, love, love them! I like to warm them up, slice them in the middle and stick a pat of butter inside. Oh man. I’m thinking about adding cacao chips in them next time. Thank you! Ooh! Cacao chips sound good! 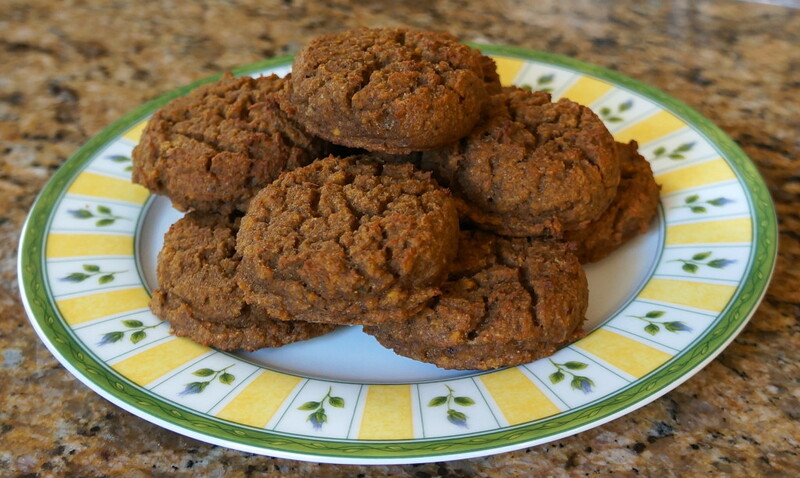 I made these using canned pumpkin as well. I had to bump up the flour (I used Trader Joe’s gluten free all purpose) to 1/2 cup. They’re great! Thanks for the recipe, Rebekah!! I’ve never heared of kabocha, but it looks a lot like acorn squash. Would that be a good substitute? 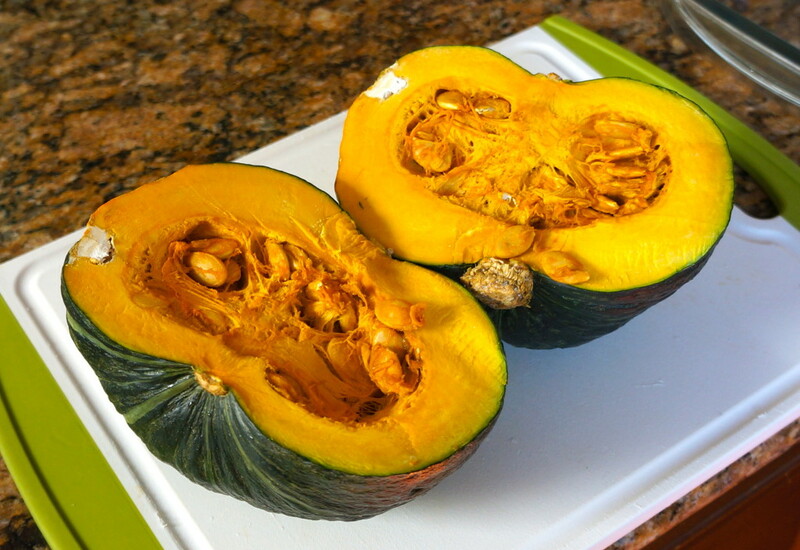 Kabocha is much drier than acorn, and they have different flavors, but the acorn squash will probably work just fine. Just make sure you drain it after cooking to get the right texture. I just made these using left over baked sweet potatoes and they turned out fine. I did have to add a bit more coconut flour though. I also added some walnuts to mine. The batter was very tasty and when I had a warm out of the oven one I thought I’d died and gone to heaven. I’m doing the 21 Day Sugar Detox and can’t wait to have these after I exercise!!! I made these twice and haven’t been able to get a batter that is anything but liquid consistency. I added a ton more flour the first time just to get it somewhat thickened. The second time, I tried one less egg and less kabocha which made it a little thicker but still definitely nowhere near scoopable. They have been good both times just a little sad and flat. Any ideas on what I’m missing or how else to tweak it? We are doing the 21dsd and love these warmed up with some almond butter! I’m glad you like these! The only thing I can think of is that maybe the kabocha has too much moisture. Try pureeing the cooked kabocha and then setting it over a cheesecloth/towel in a colander and let it drain overnight in the fridge (http://halfindiancook.com/how-to-make-pumpkin-puree-and-a-pumpkin-recipe-round-up/). This is what I do with most pumpkins or squashes to remove much of their moisture and thicken the puree for baking.